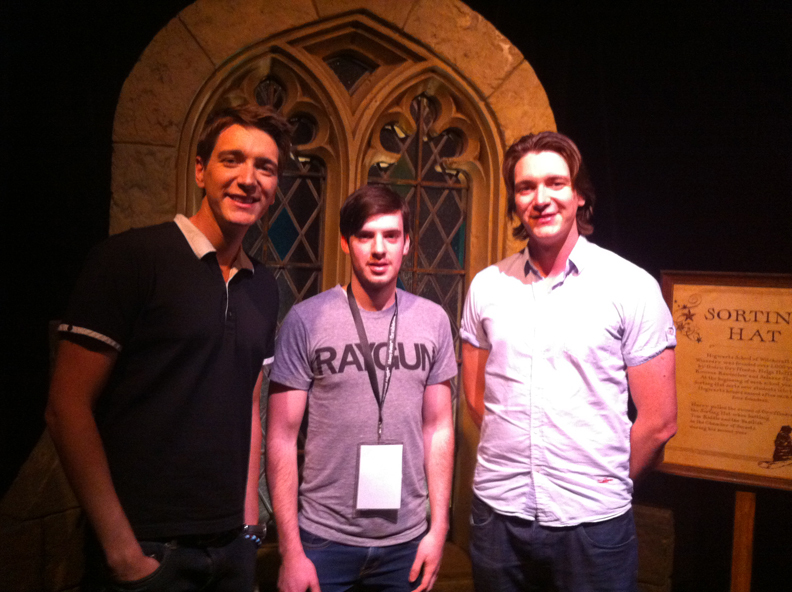 Last night, James and Oliver Phelps (Fred and George Weasley in the Harry Potter films) attended the gala launch of Harry Potter: The Exhibition in Sydney. I had the pleasure of attending the event, as well as a media preview earlier in the day, which was hosted at Sydney’s Powerhouse Museum. James and Oliver, along with creative wizards Eddie Newquist and Robin Stapley, shared a number of interesting facts about the exhibition. 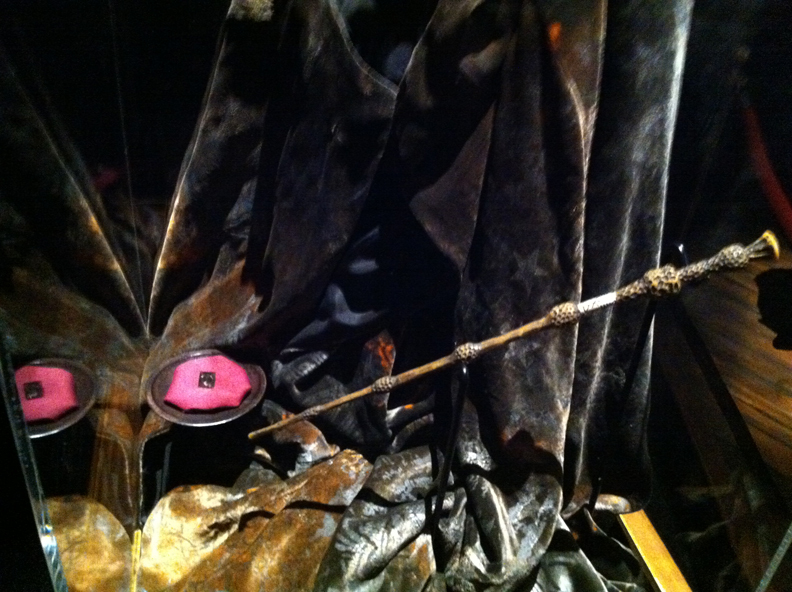 Notably, they spoke about the logistics of bringing such a large exhibition to Australia and some of the more recent props and costumes on show for the first time. Here are some of the most interesting facts that were shared. 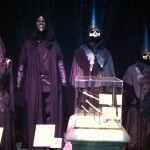 It took 23 shipping containers and 40 days to bring Harry Potter: The Exhibition to Sydney. 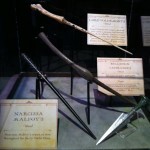 At one point, James and Oliver had to have their wands shipped back to Leavesden Studios for ‘Deathly Hallows’ filming. 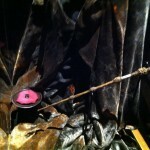 There’s a mark on one of the Bludgers where it was dropped on set. 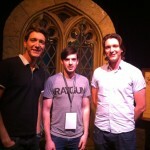 There’s authentic James and Oliver Phelps graffiti carvings on the Gryffindor table in the Great Hall. 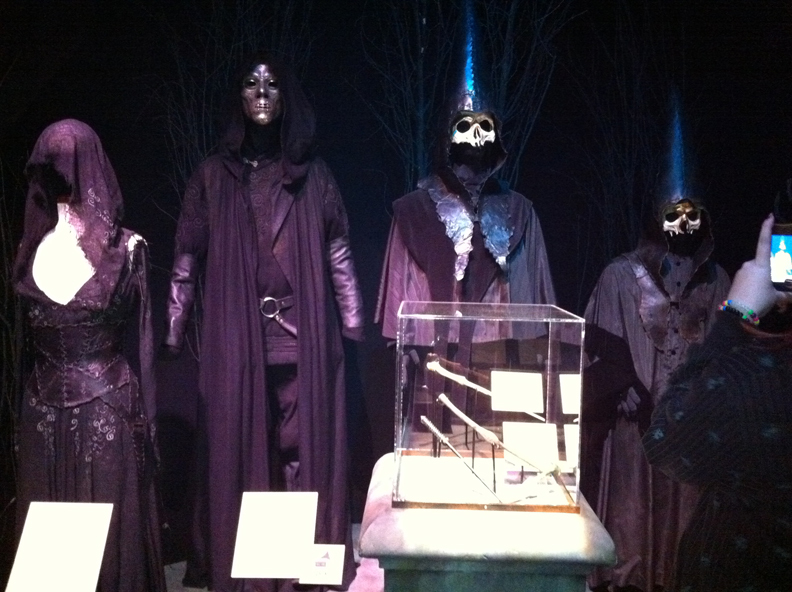 There are new props and costumes on show for the first time in Sydney, including the Hallows and Horcruxes (photos below). 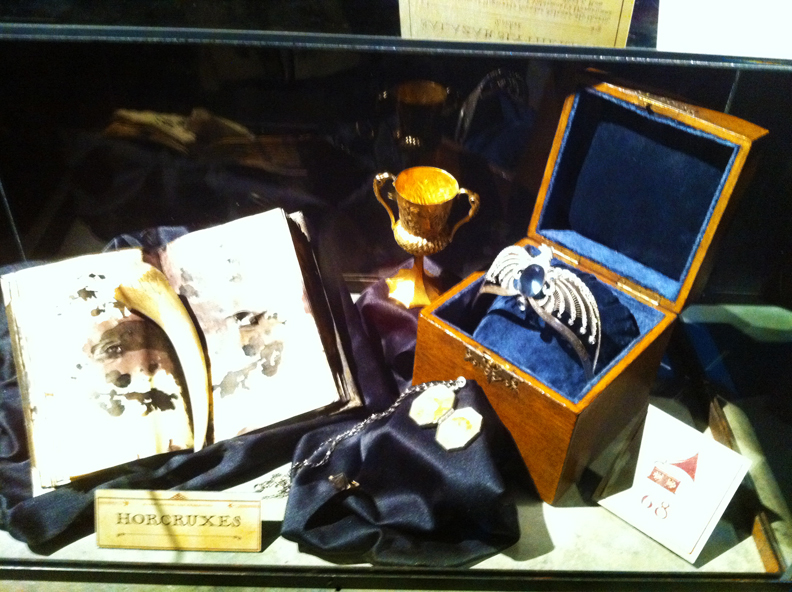 Bellatrix’s costume is a new edition to the Sydney display (photo below). 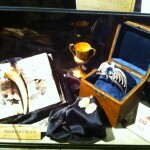 Harry Potter: The Exhibition runs through until 18 March 2012 at the Powerhouse Museum in Sydney. Tickets are now on sale. 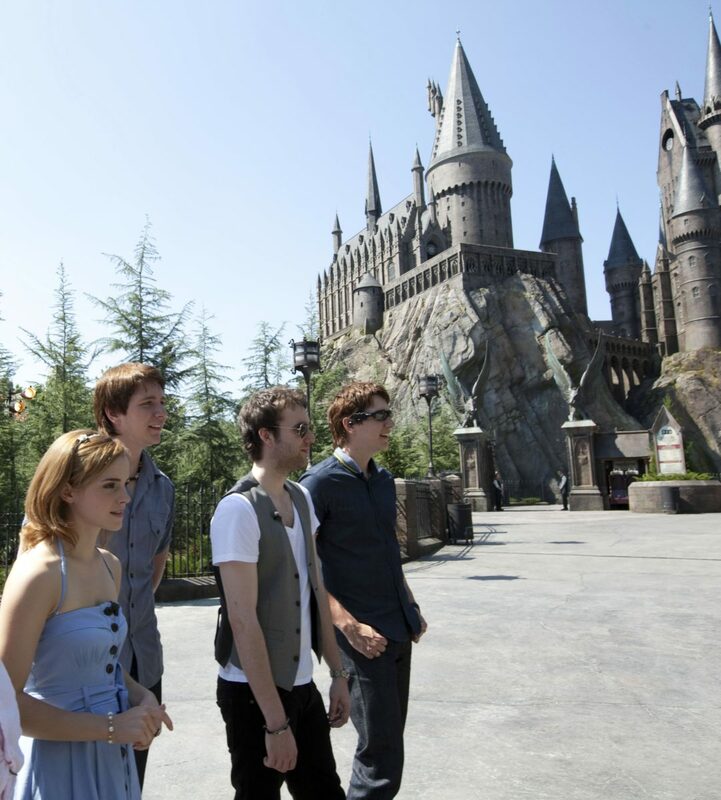 James and Oliver Phelps (Fred and George Weasley) recently visited The Wizarding World of Harry Potter theme park in Florida, a photo of which can be seen below. In yet another feature piece in the LA Times, James and Oliver Phelps (Fred and George Weasley in the Harry Potter films) speak about working on Harry Potter and the Half-Blood Prince, director David Yates, and bringing the Weasley twins to life. 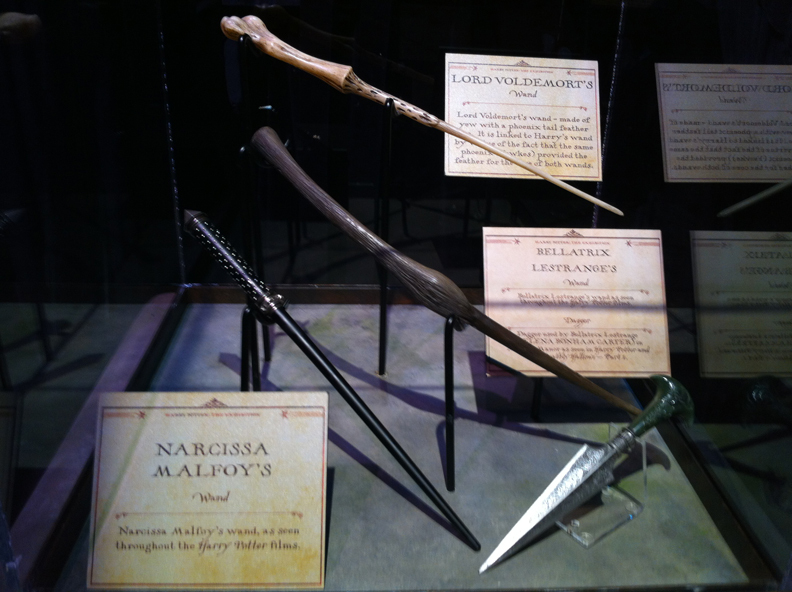 The twins also debunked the belief that they are often mistaken for one another. 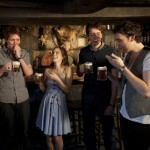 MG: Are you often confused for each other like the Weasley twins are in the movie? OP: It’s funny that you should ask that, because we rarely are. When we first went in for casting calls and got the part, the crew was very methodical. They said to me “You’re George,” and to James, “You’re Fred” and I guess it stuck because no one ever really got confused. 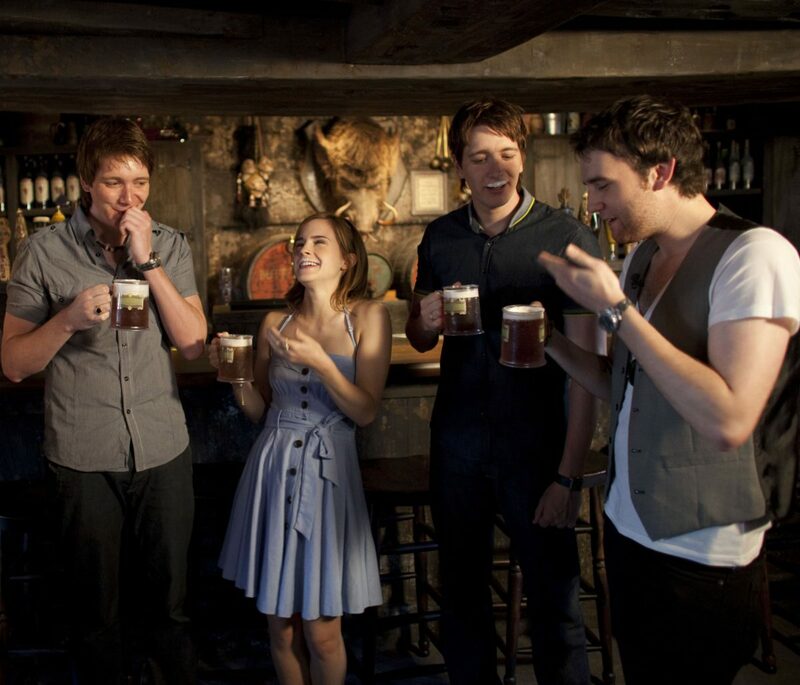 Happy birthday, James and Oliver Phelps! 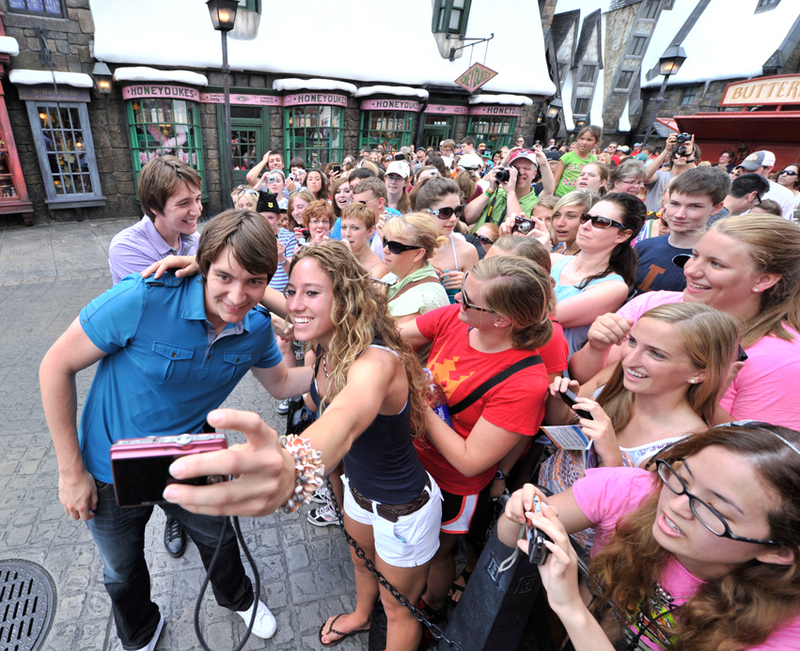 James and Oliver Phelps (Fred and George Weasley in the Harry Potter films) celebrate their birthday today. A very happy birthday to them!